Solar batteries receive energy from photovoltaic arrays and can usually be fully charged from just a couple of hours of exposure to sunlight. The most commonly used forms of solar batteries are nickel cadmium and lead acid. Lead acid solar batteries tend to be less expensive, but they do have limitations, including the fact that they cannot be completely discharged. Nickel cadmium batteries don’t have this issue, but they are of course more expensive. In terms of durability, the most economical of the two choices is actually the nickel cadmium. 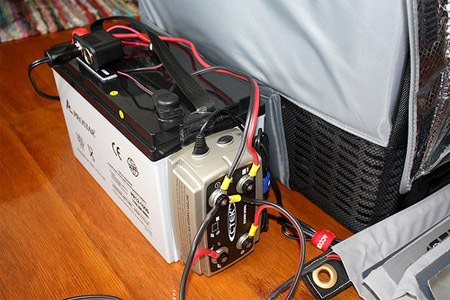 Although solar batteries do have their uses, they are not the most practical of options. Many people buy them because they want to save the excess solar energy produced by their solar panels, but since most home solar systems are grid-tied, meaning there is no battery backup system, there isn’t much need to have a backup. In addition, with the introduction of net metering, which involves selling this excess energy on the grid to utility companies and receiving a meter credit in return, the solar battery is unnecessary. Net metering functions almost like a virtual battery. Homeowners receive the credits on their meter when their solar panels produce excess energy, and at night, they use the credit for grid power, so for many people, electricity works out at an exceptionally cheap, or potentially even free, rate. Battery backup systems may be useful for homesteads, cabins, or other off-grid locations with lower energy requirements. 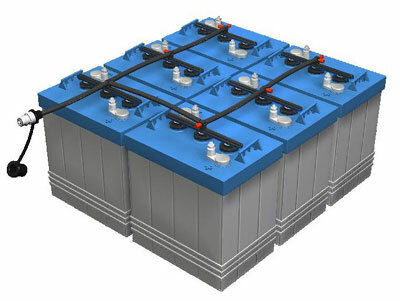 But for most homes, these types of batteries are, as previously mentioned, unnecessary, expensive, and are very bulky. They also need to be replaced about every five or ten years, depending on the quality of the battery. The manufacturing of solar batteries is still in its infancy, and so they may become a practical option a few years down the line, when there have been further developments, however for the time being, it’s easier and cheaper for people to simply use the grid when their solar panels are not supplying energy. For those who like to be prepared for the worst, solar batteries could be a practical purchase, in the case of a problem with the electrical grid system. These back-up batteries would of course be useful if this occurred, although it is highly unlikely. Bear in mind that it is ultimately cheaper to prepare with food, candles and other supplies for a power outage, than it is to purchase a solar battery if the power goes out for a few days. A battery backup system can easily double the cost of a solar installation.